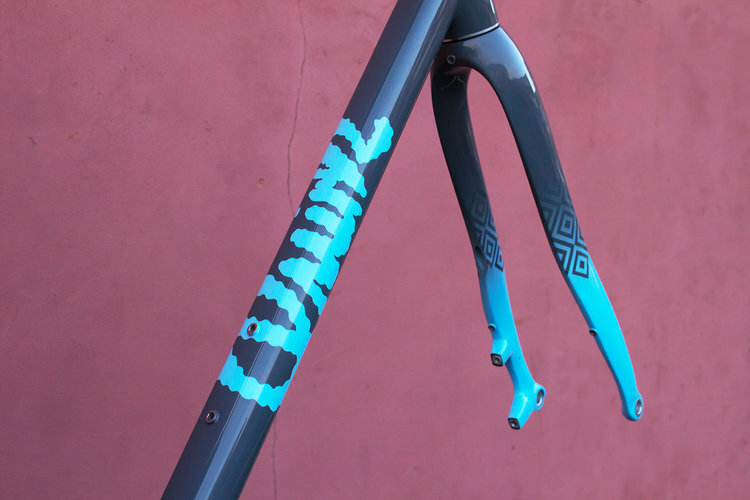 FINISH: Now this one was a head scratcher.Uninterrupted, wraparound, interlacing geometric patterns at the bike’s extremities disappear into a ghost fade. 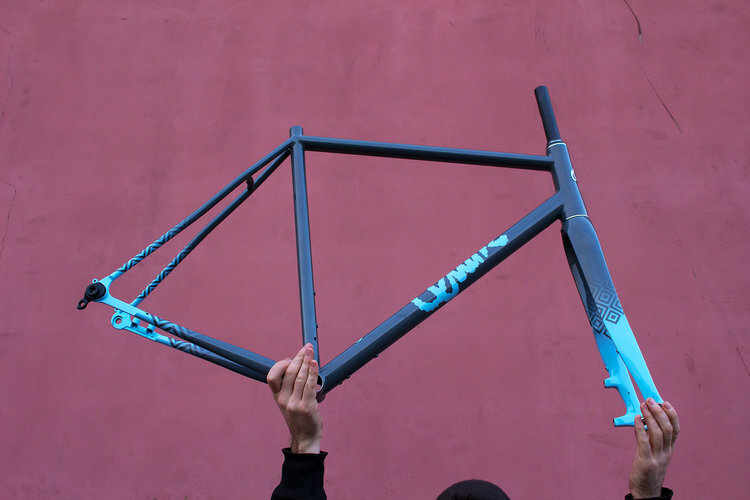 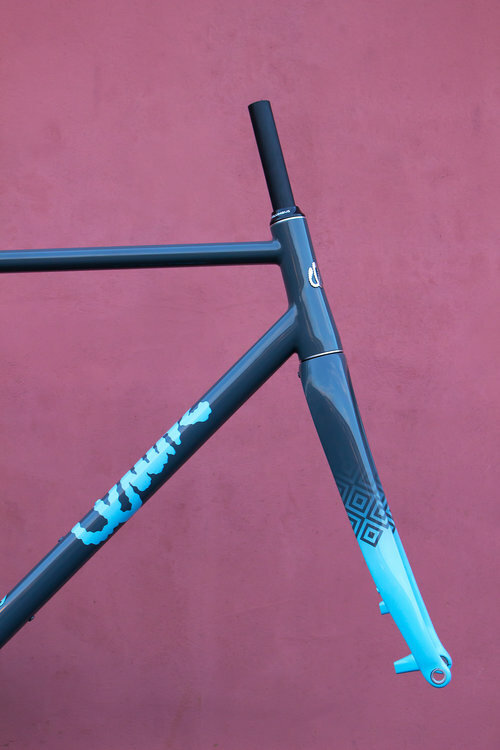 Rob tends to choose flat RAL colours that put focus on the design rather than the actual paint product; the simple grey and blue on this frameset are a prime example of this. 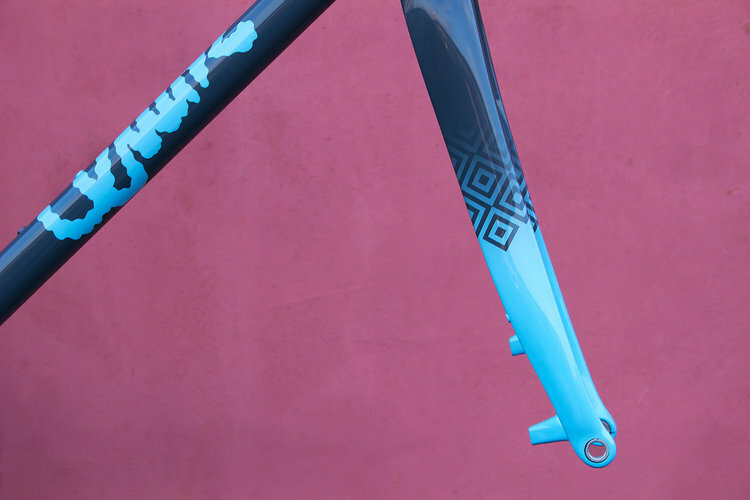 As with many of the top builders, Rob finishes his bikes with a stainless steel badge which we polish up as a final touch.